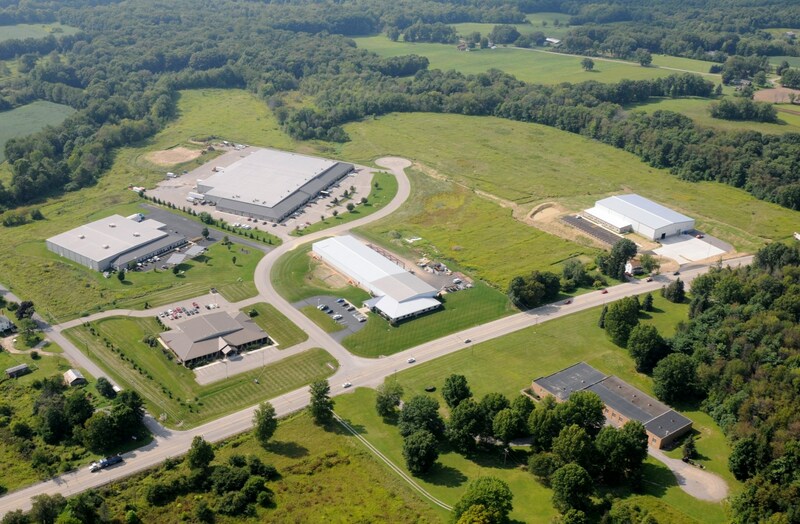 This business park developed by RIDC provides available land for companies looking to locate in Lawrence County with great access to Interstate-376 and the Ohio border. In the late 1990’s, the Pittsburgh Regional Alliance recommended to the region’s development firms creating more pad-ready industrial sites in order to make the region more marketable for build-to-suit or development-ready opportunities. It was around the same time that RIDC was in talks with Greene County in regards to Meadow Ridge Business Park, constructing Pullman Plaza in Butler and West Hills Commons in Armstrong County. Until this time, RIDC was largely focused on Allegheny County, however with these acquisitions RIDC became truly regional. In 1999, RIDC purchased 74 acres of land from First Western Bancorp, Inc. in Neshannock Township, Lawrence County. In 2003, Becan Development, LLC purchased 7.7 acres for construction of a office/warehouse building, now leased to Axiom Battery. In 2004, DPM Land Company purchased 4 acres to construct a manufacturing/office building for Velocity Magnetics, a designer and manufacturer of braking systems for amusement park rides. In 2005, Measel/Bruce, Inc. purchased 11.5 acres to develop the park’s first multi-occupancy building. Dallas Hartman and GPS Realty also recently constructed buildings in the park.